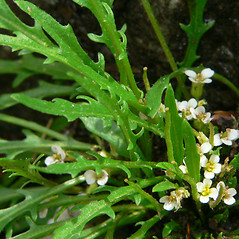 Braya humilis (C.A. Mey.) B.L. Robins. 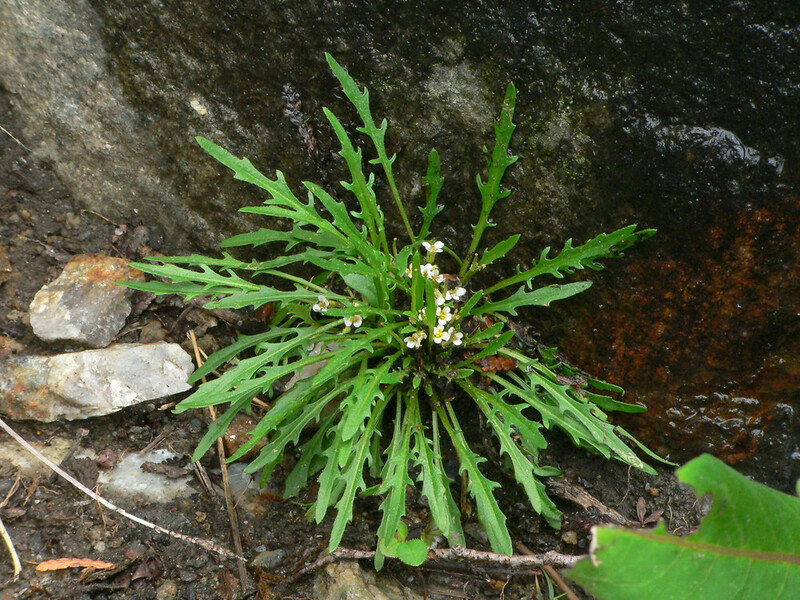 Alpine northern-rockcress has a circumboreal and alpine distribution, and enters New England only in extreme northern Vermont, where there are a few populations on cliffs and gravel slides over high-pH bedrock. petals mostly 2-3.5 mm long, fruits not torulose, and seeds 0.3-0.5 mm long (vs. B. humilis, with petals mostly 2.5-6.9 mm long, fruits torulose, and seeds 0.6-0.9 mm long). 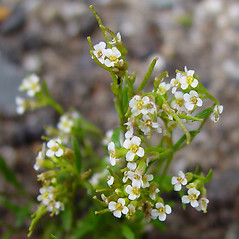 flowers of raceme without bracts, seeds 1.5-2 mm long, and plants glabrous (vs. B. humilis, lowest flowers of raceme with bracts, seeds 0.6-0.9 mm long, and plants pubescent with simple and compound hairs). Braya humilis (C.A. Mey.) B.L. Robins. var. leiocarpa (Trautv.) Fern. 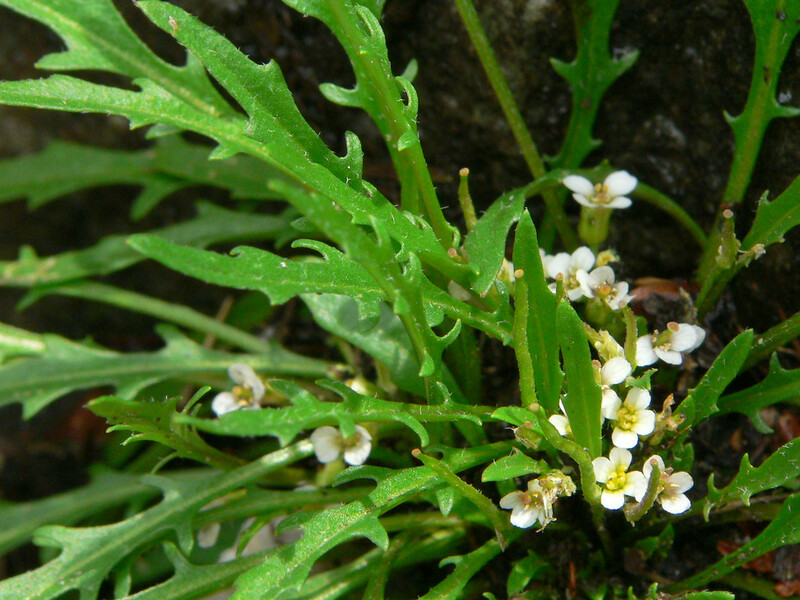 Braya humilis (C.A. Mey.) B.L. Robins. var. novae-angliae (Rydb.) Fern. 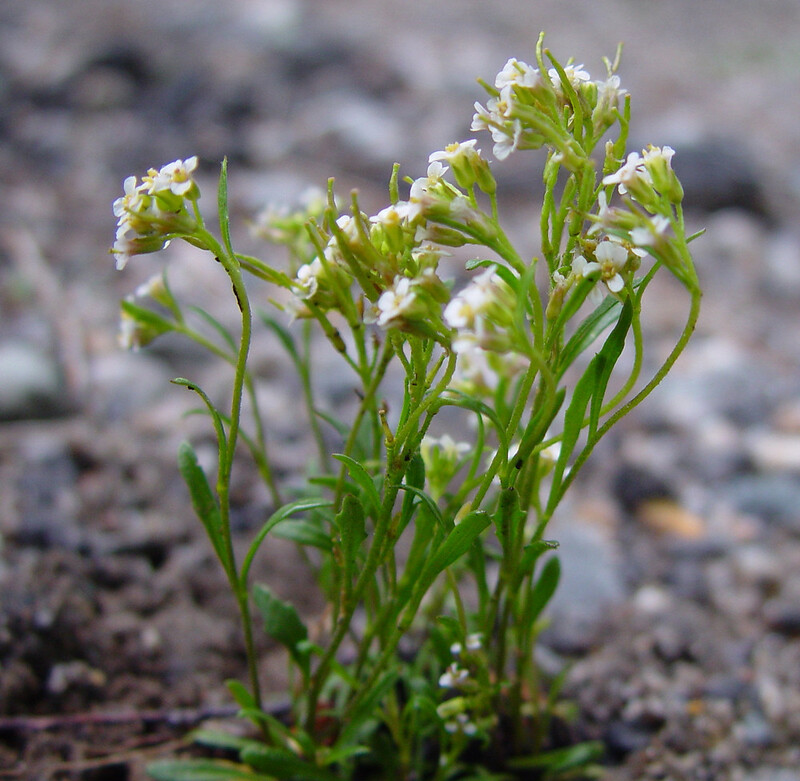 Our subspecies is Braya humilis (C.A. Mey.) B. L. Robins. ssp. humilis. 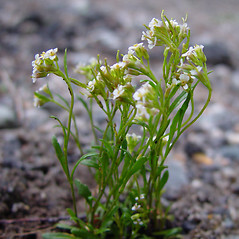 alpine northern-rockcress. 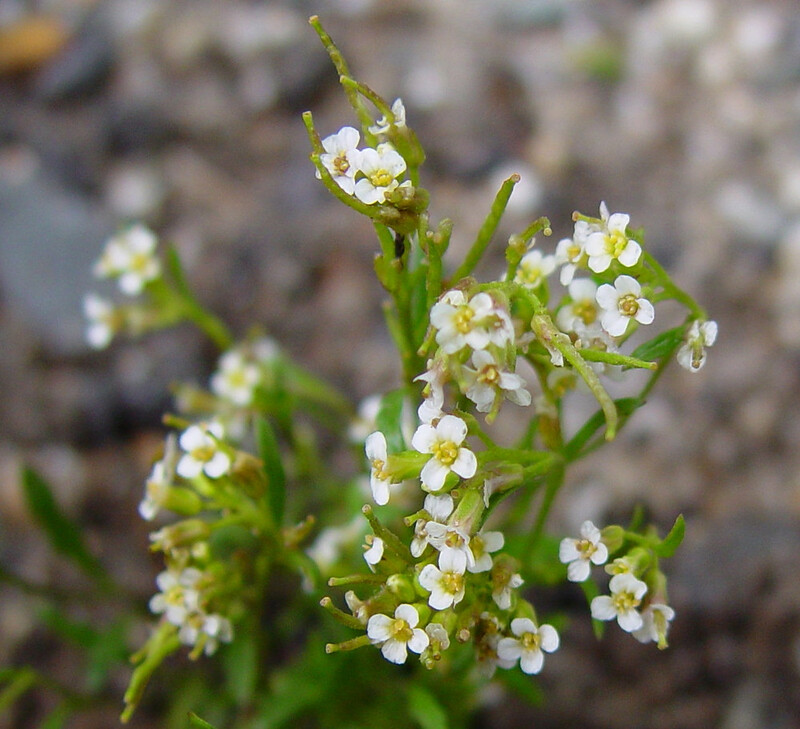 Arabidopsis novae-angliae (Rydb.) Britt. 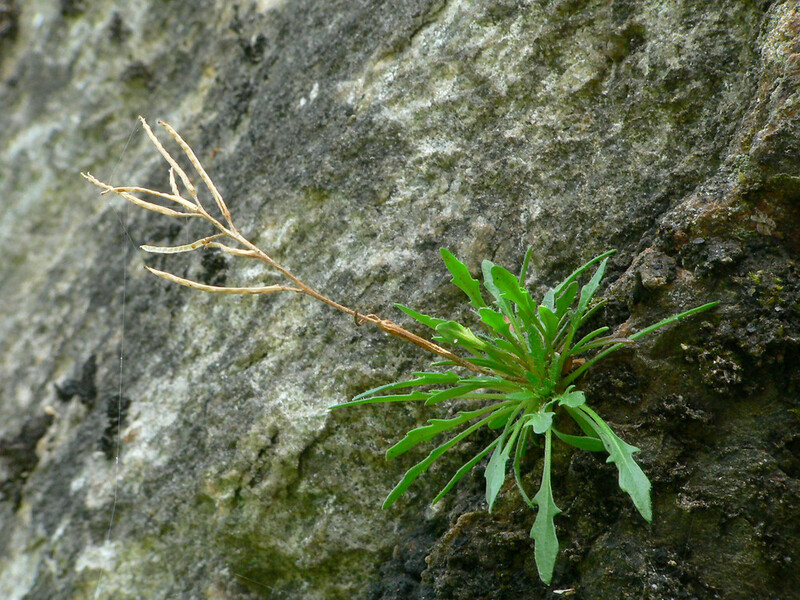 ; Braya humilis (C.A. Mey.) B.L. Robins. var. leiocarpa (Trautv.) Fern. 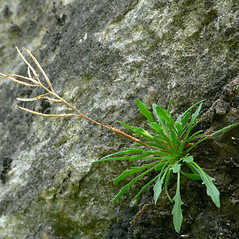 ; B. humilis (C.A. Mey.) B.L. Robins. var. novae-angliae (Rydb.) Fern. ; B. novae-angliae (Rydb.) Sørensen; Neotorularia humilis (C.A. Mey.) Hedge & J. Léonard; Pilosella novae-angliae Rydb. ; Sisymbrium humile C.A. Mey. 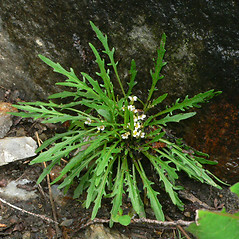 ; Torularia humilis (C.A. Mey.) O.E. Schulz • VT; northern portion of state. Cliffs and gravel slides in high-pH bedrock regions.